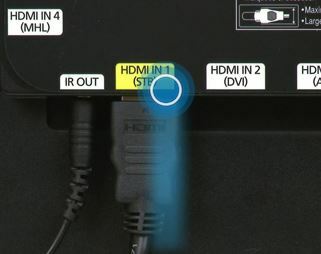 Plug the IR Extender into the back of your TV. There is a port on the back labeled "IR Out" where the jack goes. Then place the other end of the IR Extender near the external device. 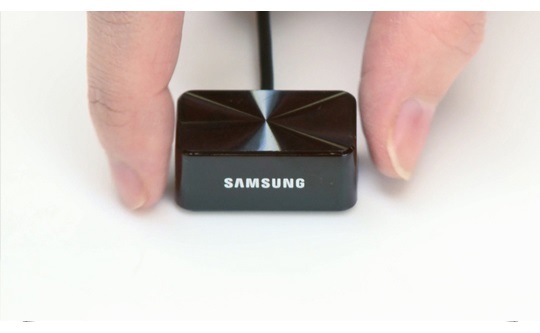 Connect the external device to your TV. 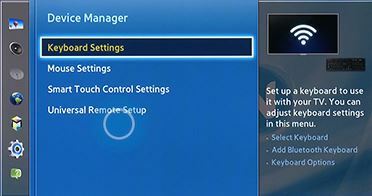 Switch on the External Device and press the menu button on the remote control. 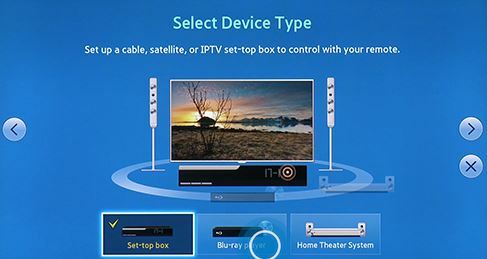 Select Universal Remote Set up. 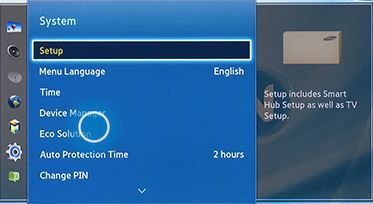 In the Select Device Type screen, choose the type of external device you are connecting. 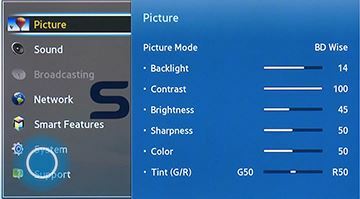 Highlight the Blu-ray player option and select it. 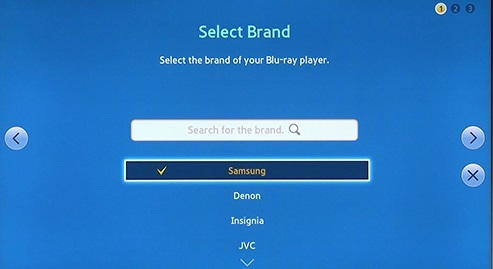 Once you find your external device's brand highlight it and select it to continue. 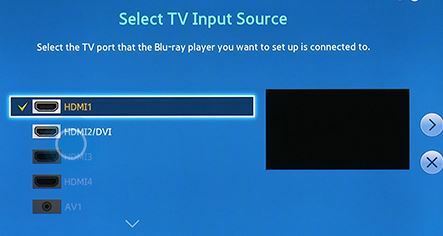 In the next screen, choose the TV input source you connected your Blu-ray or DVD player to. With "Function Test: Power" highlighted, press Enter. 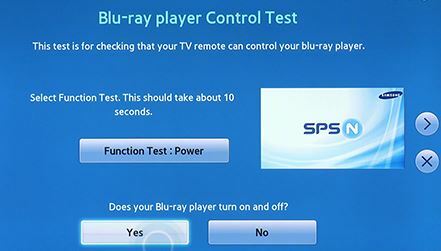 If the external device's power turns off, select "Yes" to confirm. NOTE: This test could take about 10 seconds. If after 10 seconds, the external device's power does not turn off select "No" to try a new code. 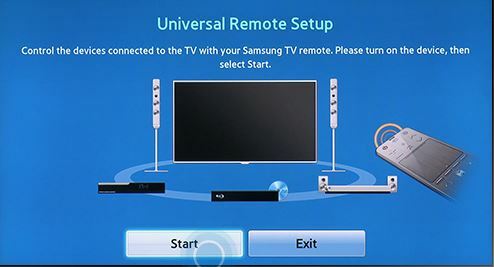 Select Exit to close the Universal Remote Setup. 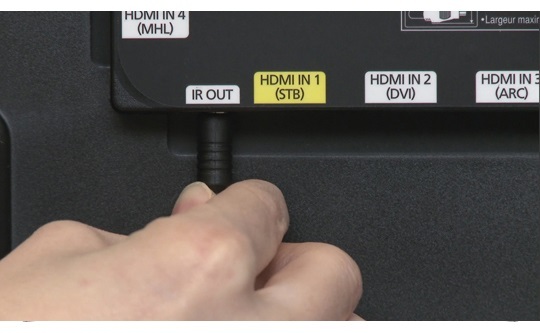 What kind of cable do I need for the digital optical output jack on my Samsung TV?